Watch Tyler The Creator wrestle in his new video for "Domo 23"
Though Odd Future frontman Tyler The Creator only announced his upcoming studio album Wolf yesterday, he’s already released a single from the record, complete with a music video. The video for “Domo 23,” directed by Tyler himself under his Wolf Haley moniker, features the “Yonkers” rapper engaged in Mexican wrestling (spandex and all). 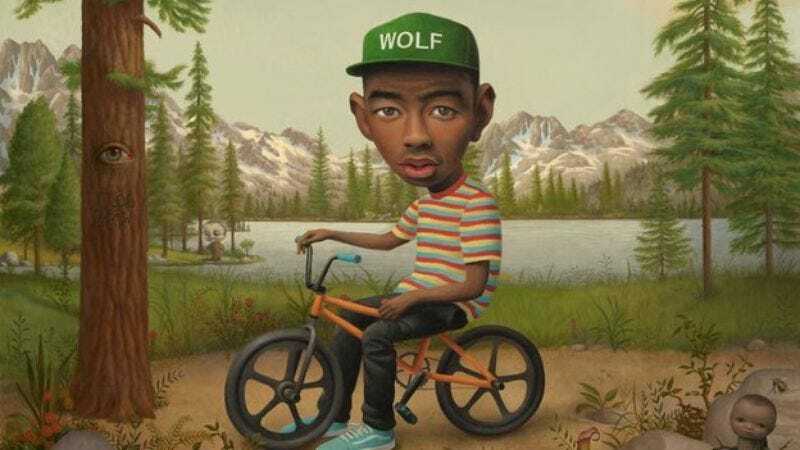 The final minute of the clip is a separate video for softer track “Bimmer,” which includes scenes of Tyler joyriding with a girl and a vocal hook from Odd Future collaborator Frank Ocean.